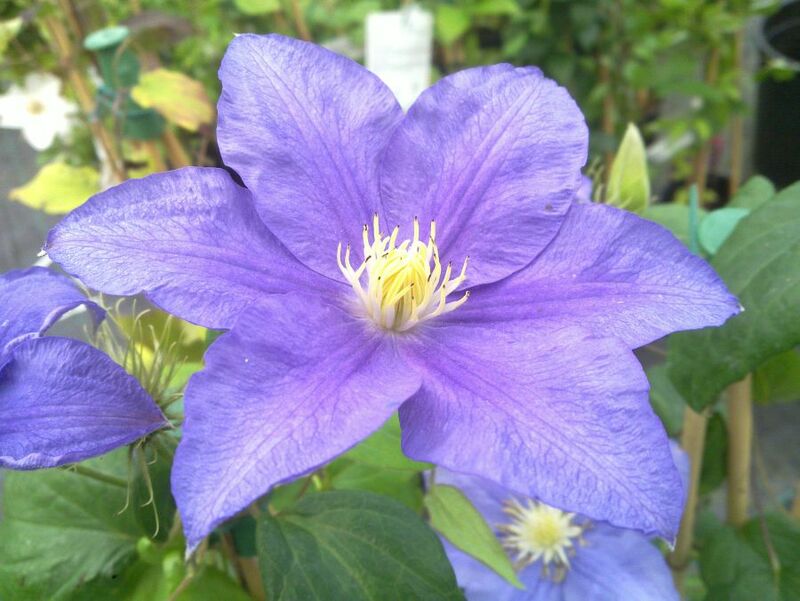 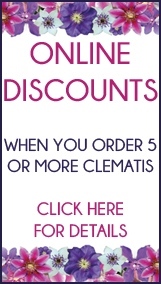 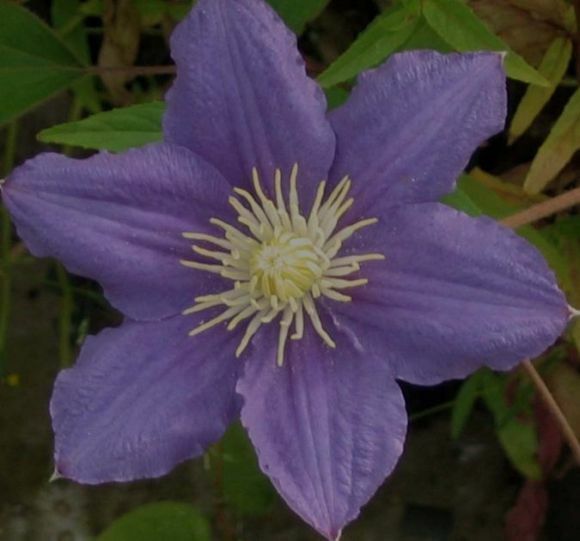 The Clematis Beauty of Worcester flowers Fully double in May and June, then single in Septmeber. The blooms themselves are 4-6" in diameter. 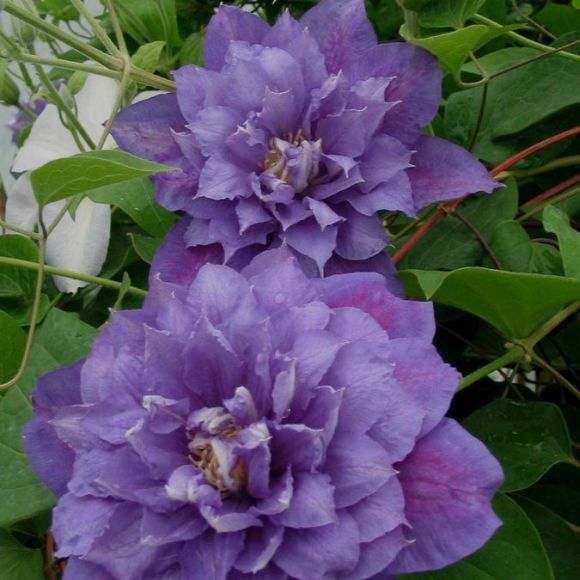 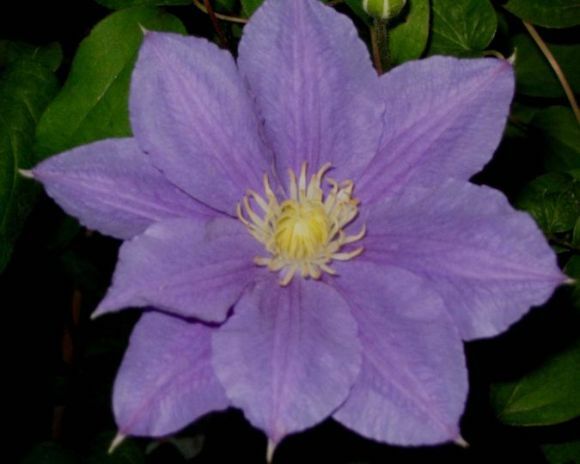 Beauty of Worcester grows around 6 to 8 feet in height and spreads aroung 3 feet, you can happily grow Clematis Beauty of Worcester in a pot or in the ground facing any aspect.